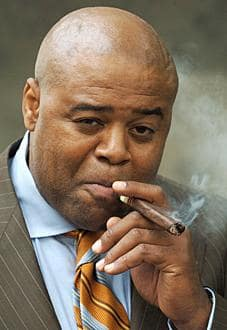 Fans of Boston Public and The Nine know Chi McBride as a portrayer of stand-up citizens. They may need to readjust their focus on Pushing Daisies, however, as the actor takes on a more nuanced, less ethical role. McBride describes Emerson Cod, his character on this hyped new show, as follows: He's a private investigator who uses Ned's powers to help collect reward money. "Emerson only cares about two things: 'I gotta get paid and I gotta go home,' " McBride says. "He's a character of questionable morality. But you will see that's a veneer for something that happened that was very painful in his life."